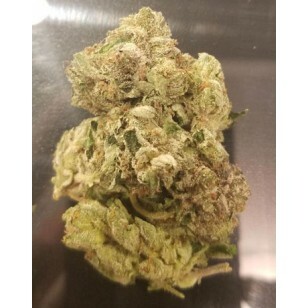 Denny Pink is a mysterious, Indica-dominant Hybrid strain created by crossing Pink Kush with an "unknown" strain. Denny Pink brings on relaxation and comfort with a bout of joyful giggles. Users will find that they lulled to a euphoric headspace at the onset, then, as the high gets deeper and deeper, you will feel like a feather and wonder just how many hours the high will last - hint, the answer is many hours. Used often to conquer stress, anxiety, and extreme nervousness, this strain is an ideal way to calm yourself down and enjoy a carefree moment. Denny Pink is a mysterious, Indica-dominant Hybrid strain created by crossing Pink Kush with an "unknown" strain. Denny Pink brings on relaxation and comfort with a bout of joyful giggles. Users will find that they lulled to a euphoric headspace at the onset, then, as the high gets deeper and deeper, you will feel like a feather and wonder just how many hours the high will last - hint, the answer is many hours. Used often to conquer stress, anxiety, and extreme nervousness, this strain is an ideal way to calm yourself down and enjoy a carefree moment.